My mom is in the long term care unit at Fair Oaks Eskaton. She started in the short term, then was transferred to Long term. Every staff member from the finance dept head to the cna's has been great to work with. I had a lot of questions, concerns, and always was given the respect and time by the Social service director, discharge planning asst, business office manager, admissions coordinator, receptionist, secretary in C wing, medi-cal pending specialist, attending doctor and the patient care coordinator. All and all the place is awesome. They have alot of entertainment and activities for the residents to keep them busy and feel like they have a life there. The facility itself is clean and decorated very nice. My 99 year old dad has been living in assisted living and recently fell several times after catching this terrible flu bug. After a hospital stay we moved him to Eskaton Care Center Fair Oaks for recovery. His care at ECCFO has been awesome! The entire staff are working with him to regain his strength so he can return home. Nursing staff, care staff, OT, PT, ST all are engaged and providing him the care he needs to get his strength back. Thanks ECCFO!!!! You are welcome. We are so happy to hear all is going well. Take care! I live in London, England and visited my mum who stays at this facility just before Christmas. I just wanted to write a few lines to say how happy I was to get a first hand glimpse of the wonderful care that my mum receives. My daughter and I were there for a few days, and we witnessed how caring all the staff were towards the residents. Residents' needs are met with kindness and patience. During our time at the home we met some lovely people and took part in some of the activities that were set out for the residents. We could feel the vibrancy of the home, it was "full of life". The staff were busy but not too busy to give attention to the needs of each resident. I would specially like to thank a) Suzanna who was taking wonderful care of my mum. Nothing was too difficult for her. She always ensured my mother's dignity and privacy was maintained when caring of her personal needs. b) Daniella - the warmth she shows is so amazing, and she always responds with a smile c) Shakib - patiently trying to persuade my mum to take night pain relief medicine. d) Elizabeth - for greeting us in the mornings with a big 'hi' e) Evalina - my mum asked her to sing ' oh Holy night' which she sang without hesitation, making an old lady very happy. I filmed this and will hold onto this precious memory. f) The activity organizer,who so enthusiastically reads to the residents. My mum loves the quizzes and it is wonderful to see the encouragement given. Finally I would like to say my daughter and I left with a bag full of wonderful memories. We feel confident mum is receiving the best care we could ever wish for by very caring staff. We could ask for no more. Thank you for visiting our community and your Mum! We are delighted to read about your experience. Our staff members appreciate the kind words. It shows their hard work and dedication really makes a difference in the lives of residents and their families. They seemed super nice and caring when we toured it to decide where to rehab my Grandad... but when he was there the staff was rude, he asked to come home from day one, we had him there for about 10 days. He deteriorated the last 2 days or so, had him home 1 day before we had to go back to the ER for confusion and weakness, turns out he was going into kidney failure (he had been peeing into a urinal bedside.) they should have known and had him checked out or sent back to the hospital... but they didn't, they didn't care... he was just another check for them. Our family will NEVER use eskaton again!!! Eskaton Fair Oaks has been a wonderful place to live for my 100 year old mother. She is high functioning for her age and the staff have been wonderful in keeping her active and engaged. Eskaton has made the difficult transition from independent living to assisted living much easier than we thought it would be. Highly recommend! 1.) The facility is always kept very clean and organized. 2.) The direct care staff really care about the individual needs of the residents. 3.) The meals are almost always very good. 4.) The physical therapy dept. is very helpful providing regular therapy. 5.) The nursing staff provides excellent care. 6.) The Activity Director and her staff are wonderful providing constant activities for the residents. Very happy with all services received at Eskaton. All staff are so welcoming and friendly! My mother feels very content here, and has made several new friends, and reconnected with an old friend as well. Every contact with personnel at Eskaton has been a blessing. I have always been impressed with any type of interaction. I was a little nervouse at first to have physical therapy (PT) because everyone said "there will be pain". I had total knee replacement surgery in April. My PTst, Cherell, was amazing. She was friendly, patient, understanding and willing to answer all my questions. Yes there was pain, but I could feel and see improvement. With her encouragement, each day got a little bit easier. By the time I was able to go to Kaiser for PT, they were amazed at how well I was doing. The service was excellent. Was very appreciated. The therapy I got was very good. My wife has been a resident for five weeks. From the first day to yesterday the care has exceeded expectations. The employees from the administration to aid have the most caring and positive attitude I have ever experienced in this type of facility. I would like to thank and commend all folks who work at your facility and have cared for my wife Micky. There have been so many positive experiences it is impossible to name each employee. The attitude of all employees is so great. My wife Micky told me "everyone is so nice I would like to live here." I am so glad we chose the Fair Oaks Facility for her care. A special shout out for Beatrice Aguilar. She has gone above and beyond what was expected in assisting me in this heart wrenching transition. She made it possible to provide the best solution at this time for Micky. She is a real asset and does an outstanding job in her position. Many Blessings. Overall care was good. Food was good. PT is excellent. One or two attendants could use further training and supervision. Their work was adequate but not particularly caring or responsive. Caring, loving and beautiful environment. A happy place. The entire personnel was dedicated and entirely trustworthy. They found ways to brighten mom's days and comfort her at night. Food is nutritious and delicious. Excellent staff from nurses, wound care specialists to cleaning. Excellent in all aspects care, activities and especially great food. This was the second time I've stayed at your facility. The first time I was so happy that I picked you for my second visit too. The staff is great. They make my mom feel like a queen. They keep me informed of changes to medicine, treatment and condition. The facility is kept clean and fresh smelling. My mom enjoys the activities in house as well as the visitors who come to entertain. I feel so at home here. Everything is so relaxing. The people are just great and the food is too good. My roommate and I laugh just like two teenagers. Excellent! The staff is wonderful and the food is great. As a family, I’m very pleased how Clifford is being cared for. Their activities are very much enjoyable. The environment there is very friendly and clean. Uncle came to Eskaton from another facility 2 years ago. He initially had bedsores when he arrived. At the other facility he had not had physical therapy or speech therapy. Since moving to Eskaton, he’s been having speech and physical therapy. His bedsore healed and he is now able to feed himself. Thanks to the staff who is caring and kind. I have visited another facility after my mother was placed. It is Eskaton Fair Oaks. I know somebody who had a parent there. We are actually considering moving my mother over there because she would have access to an outdoor area. She could get up and walk because she is very capable of walking, but it is a liability to the facility if she would fall so they prefer she doesn't walk around. Overall I think it would probably rate higher than her current facility. It just seems like an overall better facility as far as what patients have access to. Everybody eats in the same dining room, and they have access to an outdoor area that is secured. They can get up and walk around. So those are the things that would be important to us as family members. They are very friendly and helpful from what I witnessed. I was only there for a short period of time to check out the place. The rooms are adequate. I would say the staff seemed more involved with the patients. I think they paid more attention to the patients. The Eskaton Care Center was very nice but they didn’t have any openings on the day that my dad was released from the hospital. We also had recommendations from other people who had relatives staying there, saying that it was a very nice facility. It was clean. It had very pleasant surroundings, and the staff seemed very pleasant, very nice and very helpful. They didn’t have patients lined up in the halls looking like they were being neglected. If my dad needed care again, it would still be my top choice. My mom is at Eskaton Care Center now. My first impression is that it is clean, nice and well taken care off. I like that it is well kept and it didn't have the smell that you have when going to a lot of old folks homes. I like the staff. They are very good. My mom is in a shared room. It is adequate and nice. The food is adequate. They have activities like bingo, luau nights, Fourth of July celebrations and things like that, but they say my mom is not in the condition to partake in a lot of activities. I was a patient at Eskaton Care Center Fair Oaks for 10 weeks. The facility is very clean and I think they pride themselves on that. Their staff works so hard, but the only disadvantage is that most of them barely speak English. The food is institutionalized food and it's horrible. All in all, my stay at this nursing home has all been good. Eskaton Care Center Fair Oaks is a senior living provider in Fair Oaks, California that offers residents Nursing Homes. Contact Eskaton Care Center Fair Oaks for more details on services and rates. 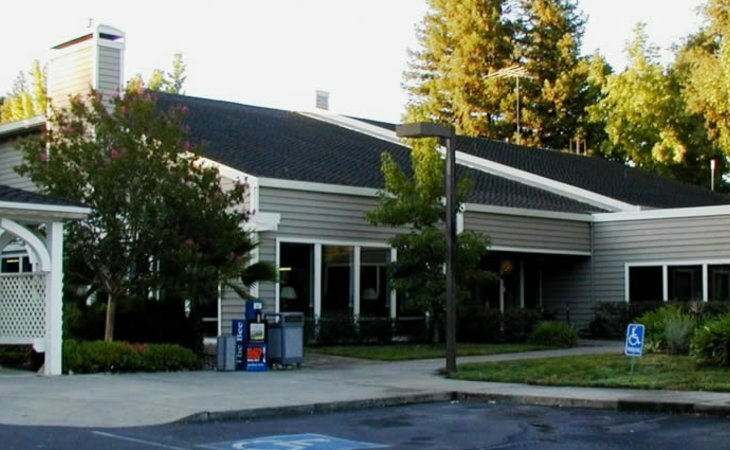 What should caregivers and potential residents know about Eskaton Care Center Fair Oaks?